This is Just as I Remembered It! 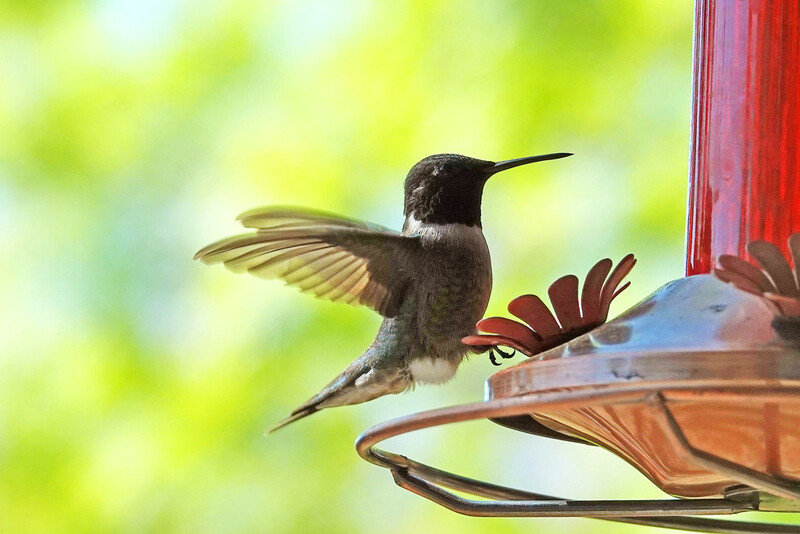 Have a pair of hummingbirds that are keeping this feeder busy today - now I can finally see them since the rain has stopped at last. Wonder if it's the same pair from last year? Wow, what a stunning capture. Love the wings. By the way, do you know that you don’t need to use the red food coloring and that it can be harmful to them? @jgpittenger No, I didn't - and I'll remember that when I change things out. Thanks. Hoping to get some this year. But not holding my breath. I am just not good on keeping their feeder up. Fantastic capture, particularly the wings. Fav.